An early-afternoon hail storm pounded the Corona de Tucson area for 15 minutes Friday. 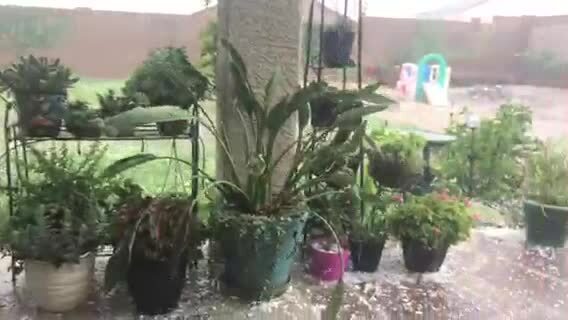 According to weather spotter Richard Petersen, quarter-sized hail hammered Corona de Tucson. The temperature dropped from 98.4 degrees at 12:21 p.m. to 67.2 degrees at 1:48 p.m.
For the latest on weather developments, visit kgun9.com/weather.